Whenever I leave the house I have a bad habit of hitting the coffee shop for a cold blended coffee. I know they are full of sugar, probably corn syrup, and yet I cannot get enough of it. So in order to save my waistline and my pocketbook I've been trying to recreate the blended coffee at home. I made several attempts and I think now I've found a pretty good replacement. It's not exactly like the coffee shop and it takes a little planning ahead but it's still really good. Put all the ingredients into a food processor and blend until smooth. I imagine a blender would work also but mine doesn't chop ice very well so I used the processor. Coffee ice cubes! Brilliant. Thanks for sharing in today's Fight Back Friday carnival. I tried the blended coffee drink today, and it was as great as I thought it would be! I did make one modification that might interest you, though. Instead of using banana, I used five dates (not frozen, just out of the bag in my refrigerator). They added a good amount of sweetness and the color was a good match with the rest of the drink. The one downside is that they didn't puree quite as well as I would have liked, so there were a few small chunks of date in the drink, but I wasn't complaining. If you soak your dates over night they will blend much better. Interesting idea Kurt. I will have to try that the next time I have dates. Thanks for sharing! This sounds great and I love that it's dairy free. Thanks for participating in the beverage challenge! We have over many years as a gourmet coffee roaster developed specific blends to enable us to offer consumers a coffee equally as high in quality as our single origin coffees, but which allows us to offer a consistency in the taste profile. In our blends we only use top quality coffee, unlike many roasters we do not use inferior coffees in order to maximize profit. We have developed two specific blend profiles, those suited for filter coffee, and secondly those that make a great espresso drink. What a great idea! 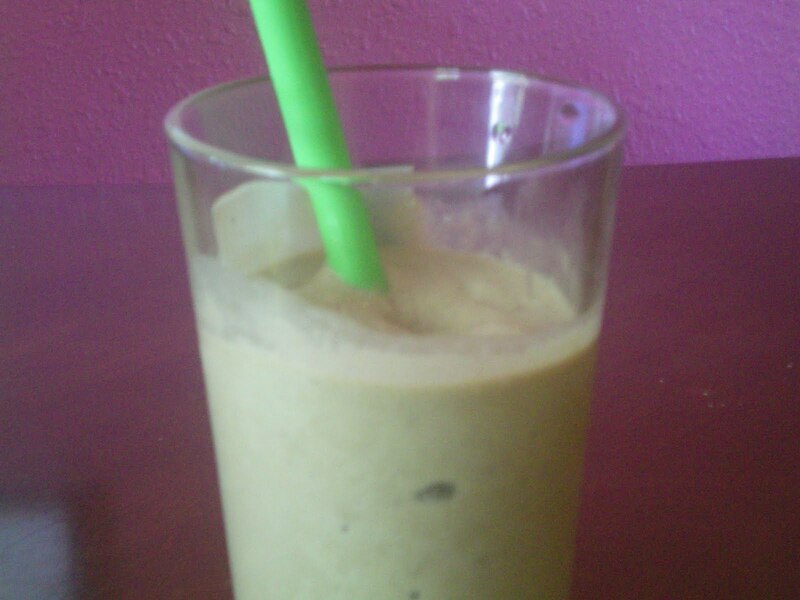 I love to put a scoop of vanilla protein powder in my coffee/milk & blend it up with some ice (or warm). Its delicious! I just tried it and it was delicious! I personally like mocha Frappuccinos so I added a half tablespoon of cocoa powder and a squirt of honey. Yum! Maybe I'm doing something wrong but I've always found that even though I love coconut and coffee, the flavours clash when I put them together and it makes me gag. So I just drink black coffee..
Hey there! I've been following your site for some time now and finally got the courage to go ahead and give you a shout out from Austin Texas! Just wanted to say keep up the great work! I success you get right of entry to constantly quickly. The clearness to your publish is just excellent and that i could think you are knowledgeable on this subject. Did you build this website yourself? Please reply back as I'm wanting to create my very own site and would love to learn where you got this from or what the theme is called. Thank you! that I've truly enjoyed browsing your weblog posts. In any case I'll be subscribing on your feed and I hope you write once more very soon! round thrilling blog (I also love the theme/design), I don't have time to browse it all at the moment but I have book-marked it and also added in your RSS feeds, so when I have time I will be back to read a lot more, Please do keep up the superb work. but I'm having a difficult time choosing between BlogEngine/Wordpress/B2evolution and Drupal. The reason I ask is because your design and style seems different then most blogs and I'm looking for something unique. Helpful info. Lucky me I found your website by accident, and I'm surprised why this accident didn't happened earlier! Hello, Neat post. There's an issue along with your web site in web explorer, could check this? IE still is the market chief and a big component of people will miss your fantastic writing because of this problem. I know this web site presents quality dependent content and additional stuff, is there any other web page which provides these kinds of stuff in quality? It's amazing to pay a quick visit this site and reading the views of all friends regarding this piece of writing, while I am also keen of getting knowledge. I absolutely love your blog.. Excellent colors & theme. Did you create this web site yourself? Please reply back as I'm wanting to create my own personal website and would like to find out where you got this from or what the theme is named. Thanks! more than likely going to receive a suitable picture, but that isn't always the case. Most people affected include; students studying abroad and business people doing international business. If you are trying to sell a business opportunity, then post it in the For Sale: Business of Services: Small Biz Ads channels. article is really a nice paragraph, keep it up. There is significantly surprise this specific simply just released sorts are listed below: uggs estimates shoes and boots mayfair shoes or boots girls java Highkoo Microsof corporation 5450 fight-style exceptional. to wear them in advance of. of peculiarity around the physical appearance of a pair of boots, a lot of people will not want to utilize them beforehand of. I visited multiple web pages but the audio feature for audio songs present at this website is in fact superb. experiencing some minor security problems with my latest blog and I'd like to find something more safeguarded. Do you have any suggestions? Greetings! I've been reading your weblog for some time now and finally got the courage to go ahead and give you a shout out from Atascocita Tx! Just wanted to say keep up the good work! I'm very pleased to uncover this great site. I want to to thank you for your time for this fantastic read!! I definitely loved every little bit of it and I have you saved to fav to see new things in your site. and marketing with Adwords. Anyway I'm adding this RSS to my e-mail and can look out for a lot more of your respective fascinating content. Make sure you update this again soon. Very good article. Your very own posting was really really laid out and extremely enlightening. Advantageously, the post is in fact the best topic on curing acne naturally. simply be enough, for the great quality in your own authoring. which is a massive number. It's in fact very complex in this busy life to listen news on Television, so I just use world wide web for that purpose, and obtain the most recent news. this web page are in fact amazing for people knowledge, well, keep up the good work fellows.